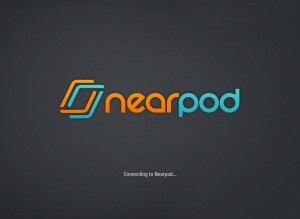 The application called Nearpod seems to be the perfect app for technology integration in schools. 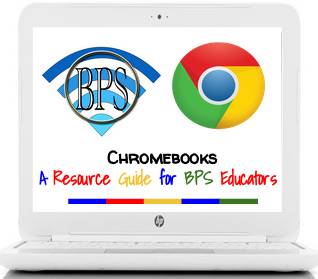 It allows teachers to create presentations with their online presentation creation app that they can then use on their mobile devices via the cloud. With Nearpod teachers can show those presentations in real time on students devices. The pace of the presentation is arbitrated by the teacher so when the teacher moves to the next slide so does the students device. But it’s way more than just a presentation application. You can place quizzes in the middle of the the presentation to see if students are paying attention. Nearpod displays the results of the quiz on the teachers device so that the teacher can get instant feedback on their students performance. Also there are options to insert videos that play within the presentation and opportunities for students to get creative with drawing sessions within the presentation. One the most useful components of Nearpod is the ability for the teacher to insert a web browser that the students can use to browse a web page the teacher has inserted into the presentation. The web page slide of the presentation is limited to whatever sites the teacher has chosen. This app is a great resource for teachers to use, especially teachers who use powerpoints every class. With Nearpod, teachers can have the presentation on the projected screen and each student can have it up close and personal on their devices. Also, with the school edition membership teachers can connect with over 100 students at a time for a presentation so class size is not an issue with this app. Teachers in a variety of subjects can use this app because of the interactive components that Nearpod offers students to interact with the lesson rather than just jot notes down all class. In my opinion Nearpod can be a great addition to any school’s arsenal of education technology applications and I recommend giving it a test run in the classroom. November 13, 2012 in iPad Apps.